If you buy Amazon products through the MEBO links and banners (in this post or in the sidebar) then MEBO gets a small % of the purchase as commission at no extra cost to you. 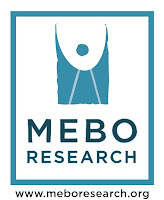 So far MEBO has raised around $77 this way ($73 USA and £3 UK). It does not matter what you buy on Amazon (eg TV, Kindle, MP3), if you go to Amazon through the links and banners on our page MEBO will get a % of any purchases. MEBO is not given any personal information on purchasers. So, if you shop at Amazon, if you wish to fundraise for MEBO at no extra cost to you, you can get in the habit of getting their through our links and banners and fundraise for MEBO at no extra cost to you.